Sorry folks, it’s been far too long since we’ve given you guys a proper update. Being busy isn’t a good enough excuse. Anyway, we hope to be doing these more frequently as things start to ramp up! Over the past six months, we can proudly say that our beer has only gotten better as we dial in our recipes and constantly improve our process and technique. We’re going to have a very wide range of styles to offer when we finally get open. 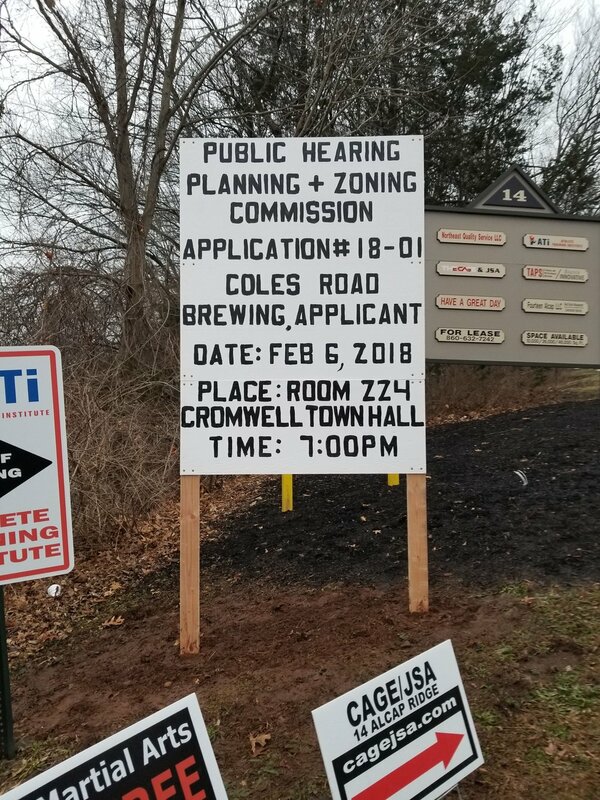 We’ve also been approved to open our brewery by the Town of Cromwell’s Planning and Zoning Committee. We’re very excited to be starting the build-out within the next couple weeks! Okay, now time for the bad news. We will be starting on a smaller scale than we originally anticipated. Back to the good news. This is the fastest way to get our beer into your hands. We will be building out our ten barrel brewery at the same time. We feel that this compromise works best for everyone. Since we are opening small to start we will be doing a two phase Kickstarter. During the second phase we will be offering our mug club, growler club and founders club; since it wouldn’t be fair to offer these if the beer wasn’t readily accessible. As we start the build-out we won’t be doing many more events, with the exception of Eli Cannon’s 9th Annual Charity Beer Fest on August 6th. We’re very excited to be attending again and we hope to see some of you there! We also had the chance to appear on the Full Pours podcast last week. If you haven’t had the chance to listen yet, check out the link below! Our social media accounts will be much more active as the build-out progresses. We can’t wait to show you how the building evolves. I guess it’s better late than never for another post. 2017 was a crazy year for us, it was full of ups and downs. We’re ready to reset our focus and we hope to accomplish many of our goals and dreams this year! Unfortunately our first location didn’t work out for us. We did, however, find a new location and couldn’t be more excited about it! We’ve got a ton of hard work ahead of us, and we’re thrilled to take on the challenge. We will keep you updated with all the progress as it begins to unfold. Over the course of last year, we constantly tweaked and refined our existing recipes and processes in order to produce the best beer we possibly can. 2017 also saw the introduction of many new beers to our current offerings, with many more ideas to follow. There is so much more to come. We’re starting a mailing list which you can sign up for on our website under Contact Us. This will give us another avenue to share information with you. We are very excited to announce that we have taken the next big step. We have signed a lease in our hometown of Cromwell! It may not be on Coles Road, but we still get to be a part of this great community. There is nowhere we would rather be. 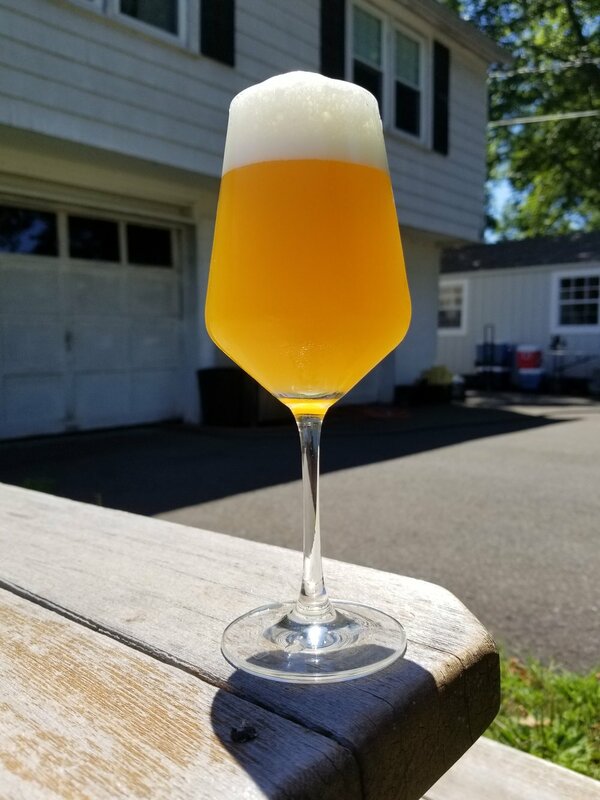 We are thrilled to start our transition from just some people brewing in a driveway to one of Connecticut’s many great breweries. For those of you that may already know us, this has been a long time coming. It is crazy to look back, just a year ago we were putting together our little pilot brewing system, and frantically brewing on it in order to make it to a local brew fest. Since then we’ve honed our craft and the beer has only gotten better. We would like to thank everyone who has supported us on this journey so far, we would have never made it this far without you; from everyone who’s attended a festival and given us some feedback, to our close friends and family who have spent countless hours lending their time and support. Your love, appreciation and encouragement has kept us moving forward and pushing ourselves to the next level. Now before we get too excited and emotional, there is still a long way to go before we can open our doors to you. We can assure you that we will be working as hard as possible to turn this dream into reality, and we intend to keep this blog updated with every step along the way so you can all be included. Stay tuned to this page, as well as our other social media accounts for many more updates and news about the brewery. It’s surreal to think that the homebrew kit we got so many years ago could turn into all of this. There are so many more exciting things to come and we can’t wait to share them with you. Once again thank you all so much, we are so excited for the future! Welcome to Coles Road Brewing! We are excited to announce the creation of Coles Road Brewing! Stay tuned for lots more info in the days and weeks to come!